HUMAN’s HPLC system HumaNex A1c for the measurement of the essential diabetes parameter HbA1c offers affordable gold standard HPLC technology for highest result quality and precision. 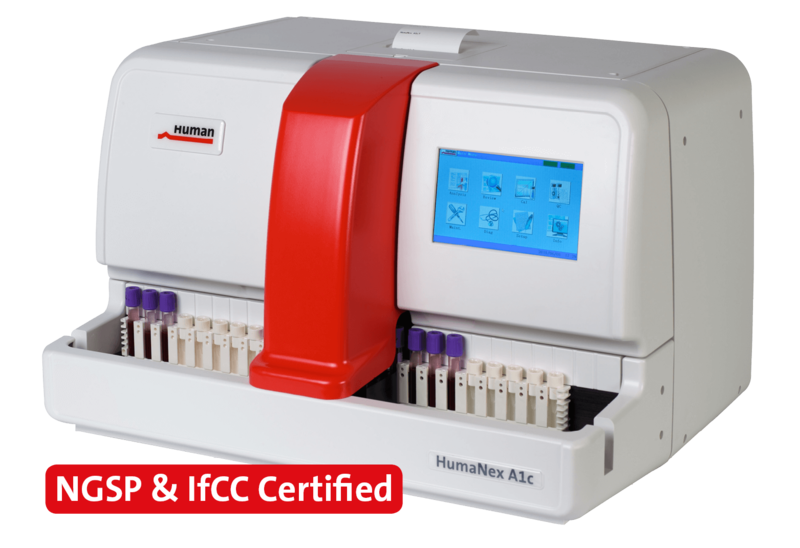 With its intuitive touchscreen operation, a completely automated workflow, a 50 onboard sample capacity and a barcode sample identification, HumaNex A1c represents a state-of-the-art analyzer for medium and high throughput determination of glycated Hemoglobin (HbA1c). HumaNex A1c is part of HUMAN’s diabetes care portfolio which is unique in its comprehensiveness covering primary diagnosis, compliance monitoring and daily (self) glucose measuring.